I love this picture! I think it brilliantly illustrates an important creative skill testers need: the ability to see beyond and challenge existing rules. 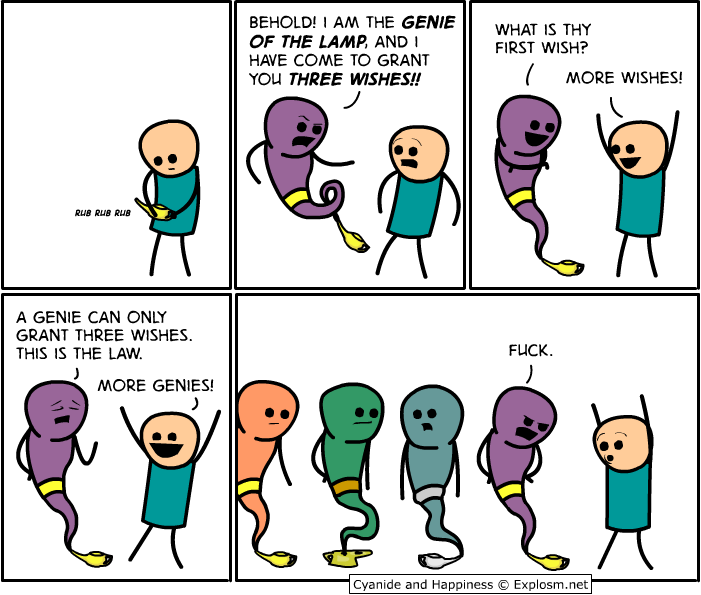 Wish the genie inscrutiating pain whenever he decides to decline you a wish. Wish... now it's your turn!